One of the things that become unclean rather quickly in an oven is the glass. It may not affect the oven’s practicality – it will function just as well whether it is clean or dirty – but greasy glass will certainly make your appliance look much cheaper and older. If it becomes stained, it will make the oven appear dirty to those looking in from the outside. Even if the grease and grime have been there for a long time, cleaning your oven’s glass is remarkably easy. 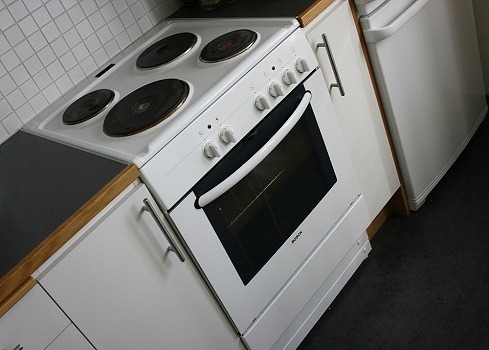 While other dirt can require professional oven cleaning like that we provide – Premier Ovenclean supply oven cleaning for Warrington, Liverpool, Ormskirk and many more – this can be done by yourself with the right products and a little guidance. Those looking to rid their oven of grease should start by getting their hands on some bicarbonate of soda, which you will need to put four spoonfuls of into a bowl, and distilled vinegar. Whip it up into a mixture and open the oven door. You can spread the mixture onto the glass and leave it for an hour or so. Once the mixture has had time to set in, you should be able to scrub it off and lift some of the grease as well. You can find that some of the bicarbonate of soda has run down the oven glass and created another stain, but this is easy to remove. Give it a good rise with some simple cold water, turn the oven on and close the door for a few minutes – this should easily get rid of the mess. Once this is complete, you should be left with an oven glass that looks as good as new. For other oven cleaning services that require a professional touch, get in touch with Premier Ovenclean today.